Some diabetics can handle bananas and some cannot. I happen to be one that can eat bananas without a blood sugar spike. Only you know how well your body tolerates bananas. I got a recipe from KAF that sounded delicious. Since it was a whole-grain recipe it was easy to turn into a diabetic-friendly recipe. 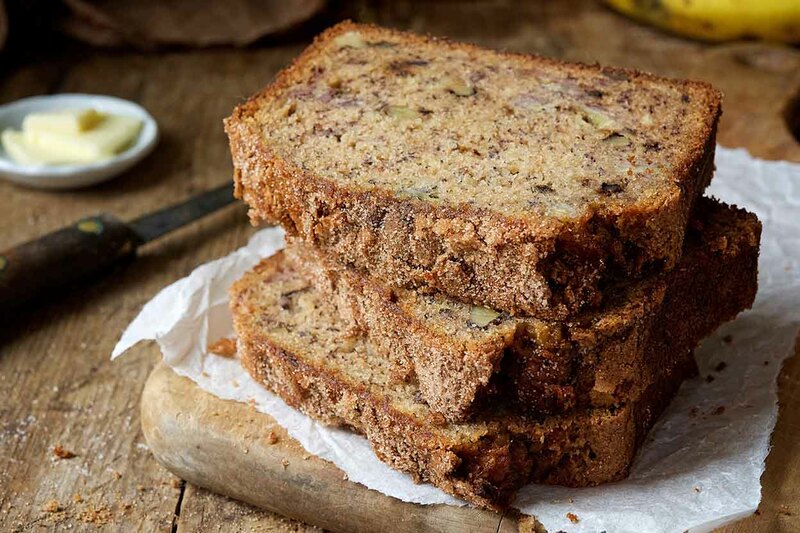 If you like banana bread, you will enjoy this bread. Looking toward the holidays, this would be great for holiday meals and gifts. *Leave the nuts out, if desired; or substitute up to 1 cup sugar-free chocolate chips, sunflower or pumpkin seeds. Preheat the oven to 350°F with a rack in the center position. Lightly grease a 9″ x 5″ loaf pan; if your pan is glass or stoneware, reduce the oven temperature to 325°F. In a large bowl, stir together the mashed banana, oil, Splenda, eggs, and vanilla. Scoop the batter into the prepared pan. Mix together the Splenda and cinnamon, and sprinkle over the batter. Bake the bread for about 60 to 75 minutes, until the bread feels set on the top, and a paring knife (or other thin knife) inserted into the center comes out clean, or with just a few moist crumbs (but no wet batter). If you have a digital thermometer, the bread’s temperature at the center should register about 205°F. If the bread appears to be browning too quickly, tent it with aluminum foil for the final 15 to 20 minutes of baking. Note: If baking in a glass or stoneware pan, increase the baking time by 10 to 15 minutes. This is a KAF photo.